As somebody coming from Germany, I can still sometimes discover pretty extraordinary things (extraordinary for me anyways) about a real Canadian winter. 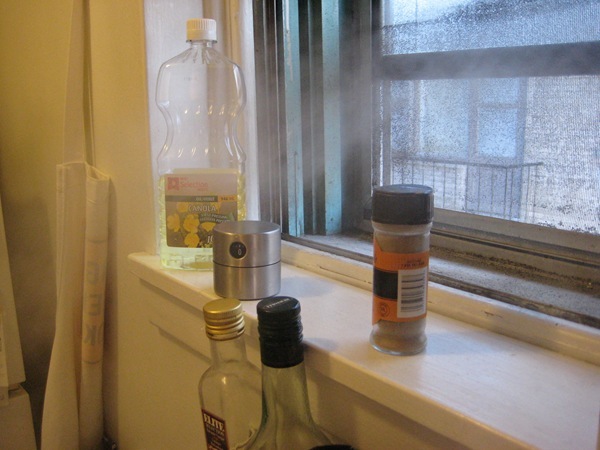 Today we had clouds forming inside our kitchen for example, originating from the cold (really cold, apparently) air that was streaming into the kitchen trough the open window. (Yes, that’s a real problem here in Canada. Many people, like us, cannot regulate their heating and therefore really have to open windows when their apartment gets too hot.) Kinda spooky, eh?